Pattison Livestock is a family operation that specializes in the breeding of roan quarter horses for pleasure, ranch and mountain work. We are very pleased with our horses and have personally had the positive experience of training and riding many of them. 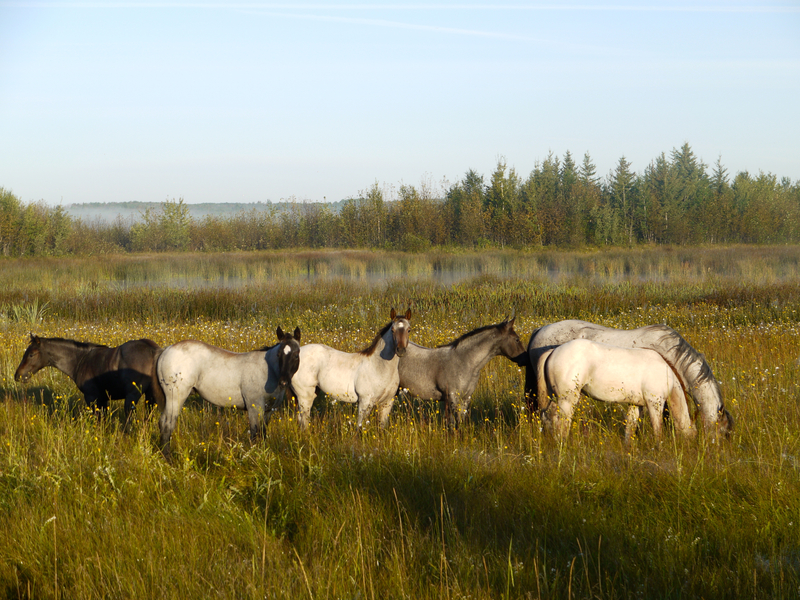 Pasture bred and raised in the aspen parkland of central Alberta, from the very start our horses experience the natural conditions that horses were designed for, which we feel provides a good foundation for life. After 15 years of raising foals, our buyers continue to affirm this fact and attest to their quality and good disposition. Thank you to the 2018 buyers for your support! All the foals have now been sold and we look forward to seeing everyone next year.